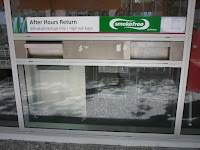 When the library is closed, you can still return your items through the After Hours Returns slot. There is a slot at each library. 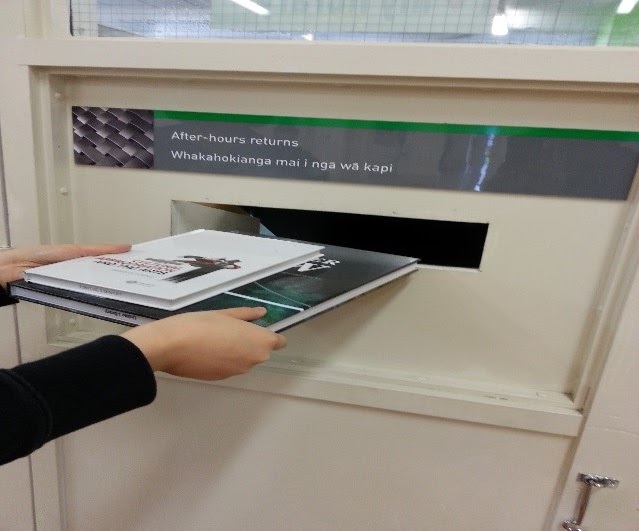 The returns slot is inside Building 1 past the exhibition hall or foyer beside the library doors. 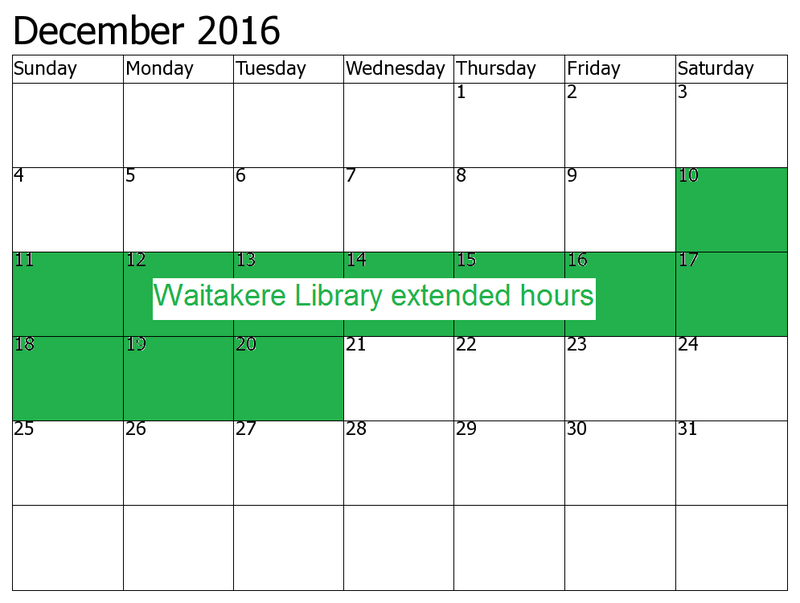 From 26 November Unitec library services will be open for shorter hours. A warm thank you to all students and staff who recently completed the Unitec Library survey. 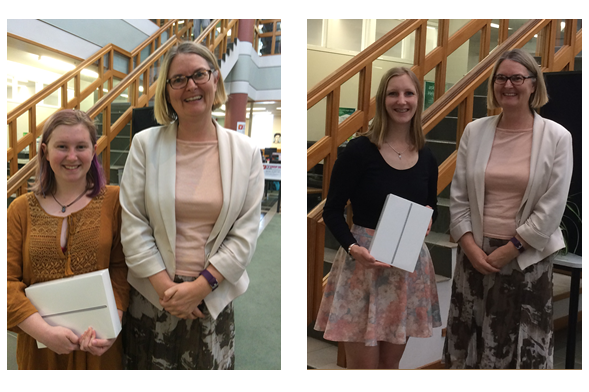 We had over 2,000 responses and are delighted to announce the winners of the two iPads – Zara Doughty, an Accounting and Finance student and Lauren Miller, a performing arts student specialising in costume design. Both were excited to be contacted by the Library Director, Gail Dallimore this week. They are pictured below receiving their ipads from Manager Resources, Anna Wheeler. 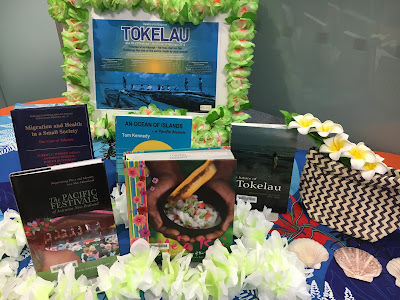 See our blog post about the survey results here: http://uniteclibraryupdates.blogspot.co.nz/2016/11/unitec-library-in-top-25-of-nz-and.html. Again, congratulations to our two winners and thank you all for participating – your feedback is very valuable. In September this year 1932 Unitec students and 98 staff completed a comprehensive, benchmarked Library-specific 'Insync' client survey. Unitec Library recorded an overall score of 82.5%. This places in the top 25% of libraries that have surveyed with Insync over the last 2 years and represents an overall performance score increase of 1.1% since the last survey in 2014. This survey provides rich data and allows us to compare Unitec Library's performance in supporting students and staff against 31 other New Zealand and Australian tertiary libraries, including University of Auckland, Australian National University, Curtin University of Technology, Deakin University, Flinders University, James Cook University, La Trobe University, Monash University, Queensland University of Technology, RMIT University, Swinburne University of Technology, University of Adelaide, University of Canberra, University of Melbourne, University of South Australia, University of Tasmania, University of Waikato, University of Wollongong and Victoria University. The survey rates respondents' perceptions about the importance and the performance of more that 30 factors in these 5 categories: Library staff, Communication, Service delivery, Facilities and Equipment, and Information Resources. The Library performed highest on the category of Library Staff, with a score of 89.1%. This is a very positive result for the Library. Not only are these factors the most important to users of the library, they are also being performed well. "The library has always been an important place for me to get the resources I need as well as do group work. 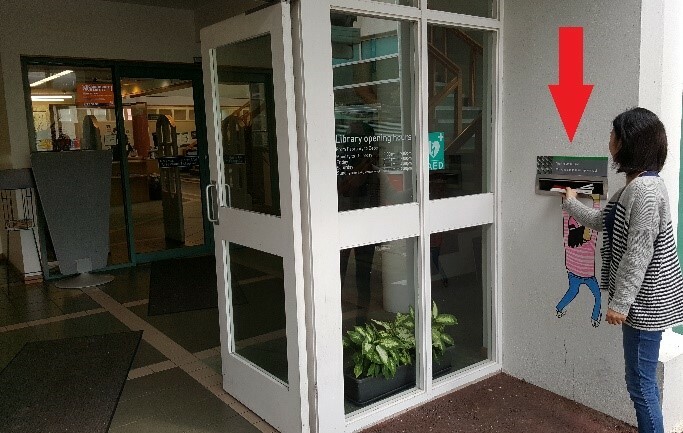 Throughout my three years at Unitec Waitakere I have been really impressed with how helpful and friendly the library staff are and am extremely grateful for their patience and what an awesome job they do." "I wouldn't be able to do and pass some of my papers at crucial times without the help of the library, I wouldn't know where I'd be without it... most likely resitting papers. Libraries comfy and reassuring." "It's helped me tremendously in my studies. Being able to have access to the computers, printers and books for assignments. A quiet and close area to study in. Friendly and helpful staff"
The data collected through the survey also gives us insight into the 'gap' between importance and performance. Gaps identified from 2014 survey have overall shown improvement in 2016. Once of the statements in the survey was "A computer is available when I need one". 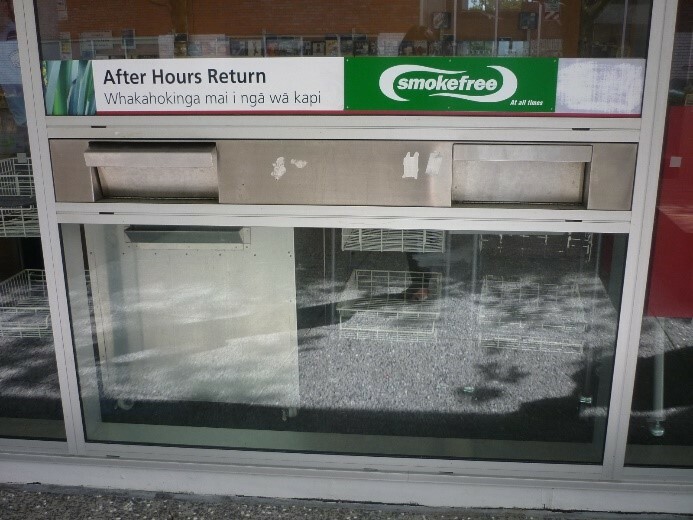 For this statement Mt Albert Building One Library users indicated a significant gap requiring investigation. Our initial response to this gap is to add a further 6 laptops to the Building One Library laptops for loan. This will increase the overall laptops available at Building 1 from 9 to 15. (We have 31 at Waitakere, and 48 at Mt Albert Hub Library/Commons). We will also investigate the gap further and consider further options for improvement.. The survey results and data will be used to priorities and plan actions to continually improve Library services. 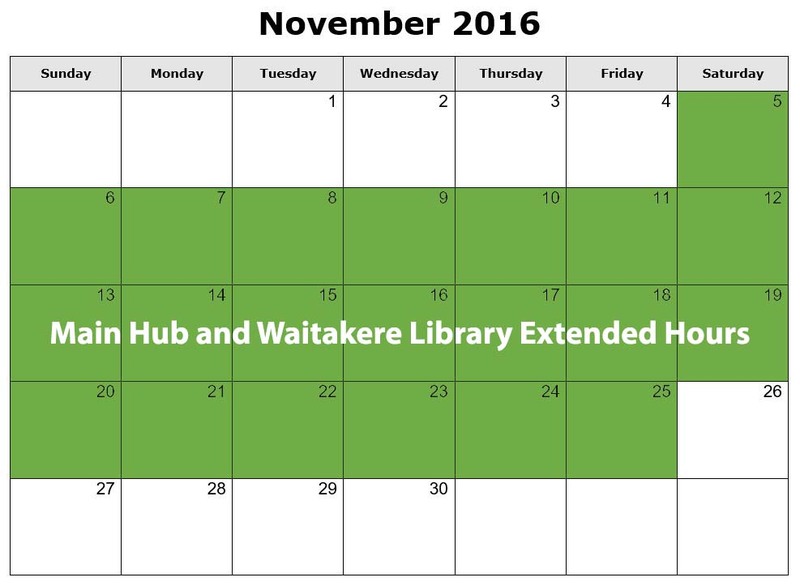 For further information, please email library@unitec.ac.nz and address your query to the Library Director, Gail Dallimore. Building 1 library hours are not being extended. Their hours will remain the same as during semester time. See the library hours full details.